Fitness info doesn’t always have to be so serious! 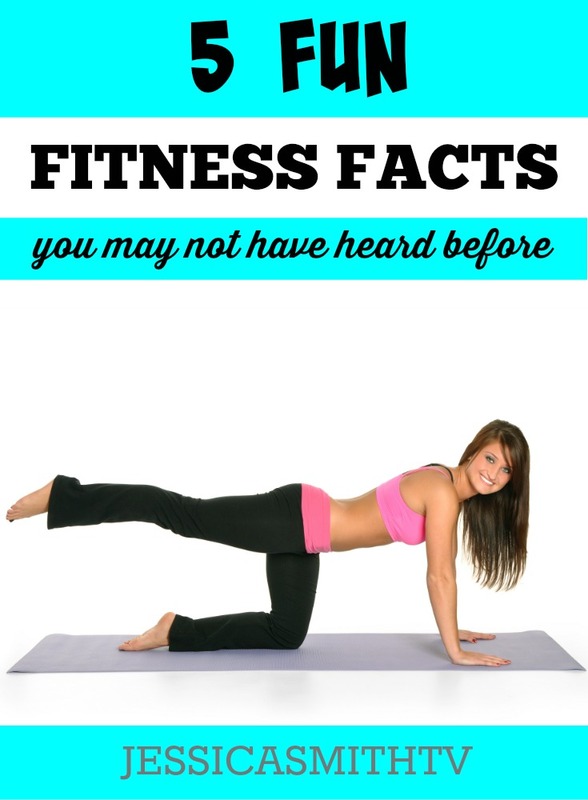 How many of these fun fitness facts do you know already? #1: The largest muscle in your body is…. Your booty! Well, the gluteus maximus muscle, to be more exact. Good thing we have a ton of great glute-shaping workouts to put it to excellent use (have you tried this Barre Booty routine yet?). Interestingly, it may not be the ‘strongest’ muscle though — did you know that your calf muscles actually produce the most force, while your jaw muscle exerts the most pressure? For more cool facts about your muscles, check out this article here. #2: When you lose weight, fat leaves your body via your…. Breath! Crazy, huh? Though we like to say that ‘sweat is your fat crying’ it seems that fat is actually released as carbon dioxide when we exhale. Now before you start hyperventilating to try to slim down faster, it’s important to note that you can’t just shed fat by breathing it out — you still have to create the caloric deficit that leads to fat loss in order to exhale it away. Oh, and some of that “sweat is your fat crying” expression holds a bit of truth — the remainder of the fat not turned into carbon dioxide is released through bodily fluids like sweat, urine, tears, etc. #3: 25% of your bones are located in your….. Feet! Each foot contains 26 bones, 33 joints, and over 100 muscles, ligaments and tendons, with both feet totaling 52 bones, or about 25% of the total bones found in your entire body. We’re often so busy focusing on the key areas (like our abs, arms, thighs) that we don’t really pay much attention to fitness for our feet, but they don’t just contain 25% of your body’s bones, they are also the foundation for every vertical movement you do! Your balance, strength, power and control begins with your feet and they contain muscles that need development too. Working out barefoot can help with this (try our library of free barefoot workouts here) and be sure to check out our upcoming “Walk On: 5 Fat Burning Miles” DVD which features our brand new “Strong Feet and Ankles Workout” specifically designed to help you strengthen and stretch these key areas. Your workout! This one may seem super obvious, but it’s funny how much importance we place on the calorie burn during our workout time over the movement we do (or don’t do) during the rest of our day. Of course we’re not saying regular exercise isn’t important — it’s great for building strength, stamina, fitness and improving your overall health, and yes, it’s going to help you burn calories — but it’s not going to be the largest sum calorie burn of your day! Instead of hyper focusing on burning as many calories as possible during every sweat session, shift your attention to keeping your calorie burn going during the remaining 23 hours of your day. For example, changing your body composition by adding more lean muscle mass can help you burn calories even while you sleep and stay as active as possible during waking hours — stand up as often as possible and walk for a minimum of at least 5 minutes out of every hour you spend sitting (even more for greater overall health benefits). As for your workout time, let go of the idea that everything you do must burn major calories and tune into your body, the movements, and your muscles. Create fitness goals that make sense for your personal needs preferences and inspire you to live an active lifestyle. Physical activity! Science shows that aerobic exercise may do more to help bolster thinking than thinking itself. Regular exercise stimulates neurogenesis (or the creation of new neurons) in the brain. Just like your body, you want your brain to be at its peak so that it works perfectly. Just like the rest of your muscles, physical activity can help ‘bulk up’ your brain cells too — a benefit that becomes increasingly crucial as we age and begin to experience the cognitive decline related to underuse and aging. (Our new “Walk On: 5 Fat Burning Miles” DVD also includes a custom designed “Brain Boost” mile to help you maximize the brain strengthening power of exercise by combing aerobic activity with specific movement patterns which may also help spark neurogenesis).